Earlier this year I celebrated a major milestone. January 2008 marked my Silver Anniversary in Clearing. 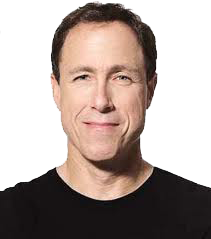 I can’t believe it – 25 years ago was when I first found Clearing and Lawrence West, and my life changed forever! As you probably know, Lawrence wrote the wonderful book called Understanding Life. I was blessed to have Lawrence as my teacher and later as my husband. Lawrence passed away in 1997 but even now I feel he is with me in spirit. I know I’ve been very very fortunate, and here’s how it all started. BUT I CAN’T AFFORD IT! For several years, starting around 1980, my dear friend Samantha told me about Clearing and to “go see Lawrence.” But I wouldn’t listen. But I had some great excuses not to listen to my best friend. Have you ever done that? You have a friend who truly cares and would never steer you wrong but you ignore their advice anyway? Yes, at that time instead of taking some great advice, apparently I was happy to continue my suffering. My biggest reason (i.e., excuse) was, “I can’t afford it,” and I believed that excuse was valid. 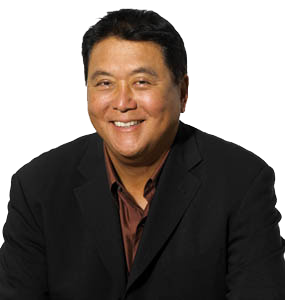 Though my friend Samantha had known him for years, I had not yet met Robert Kiyosaki! In retrospect I know the real reason I wouldn’t take her advice – I was afraid Clearing would work. No, not afraid that it wouldn’t work but scared that it WOULD work. Instinctively I knew that I’d have to confront my life and take responsibility for it. And my life might actually improve, and I couldn’t be a victim anymore. Oh no! Well, it’s easy to see the truth now. At the time, I believed I couldn’t afford it. And besides, I’d already spent the last 12 years attending seminars, reading a multitude of self-help books, counseling, et al, and my life hadn’t improved significantly. Why would this CLEARING stuff be any different?! The Mack Truck is an expression. It means you got a really big reality check because you didn’t pay attention to the taps when they were small. The idea goes like this: If Life taps you on the shoulder with a touch as light as a feather and you don’t notice the tap or you ignore the tap, then Life will tap you a little harder, and then a little harder, until you WAKE UP and PAY ATTENTION. When the taps get really hard, they’re called Mack Trucks because they pretty much run you over – then you CAN’T ignore them. Well, I got my Mack Truck in December 1982, when I was attacked in my car late one night. It was on the streets of San Diego, of all places, and I’d just attended a program with Werner Erhard, founder of the est training, a transformational seminar I had attended in 1976. There were hundreds of people in attendance, and everyone left feeling gloriously elated, including me. So I didn’t see it coming when this man came out of nowhere in the dark night, flung my car door open and started cursing at me and slapping me in the head. Amidst cursing and hitting me, he told me to move over so HE could get in the driver’s seat! Between the shock, the pain and the terror, it was a nightmare I couldn’t wrap my mind around. A moment before I’d been on Cloud Nine – how could THIS be happening??! I don’t exactly know how I escaped that brush with violence, the most frightening thing I’d ever experienced. Though I was screaming “Help!” at the top of my lungs, no one arrived at the scene to help me. Looking back, I am sure I escaped due to a Presence watching over me and protecting me. In gratitude I was determined to not only survive but commit to living a better life. Yup, all it took was getting scared out of my wits and possibly killed, and I made that call! Why? Because I finally realized it wasn’t true that I couldn’t afford Clearing — I suddenly knew what I really couldn’t afford was not to do it. I knew I had to make changes in my life. Absolutely had to. Otherwise, what would the next tap be?? That realization that I had to change was actually very freeing for me. We all have our paths to walk, and though I didn’t know it yet, I’d found mine. I am so grateful. So that was 25 years ago, and here I am today, still doing the Clearing work I love so much. I feel truly blessed. The experience above is true – it really did happen to me — but it’s also true that it is the PAST. It’s long gone. The question is, does this story have any value now, in the PRESENT? A good story could be interesting but hopefully it is somehow helpful to those who read it. I know I learned from the experience, that’s for sure, but I hope there is some value in it for you too! Thank you for reading it.